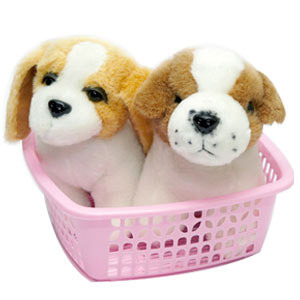 Gift this soft puppies to your dear ones in all cities in India through GiftsAcrossIndia.com. These soft and cute puppies will definitely add smile on your dear ones face. So send this puppies with other Gifts across India. Please Note :- Basket design might vary according to availability.